Welcome to Town Center Chiropractic! Morris, Dr. Jeffrey Fife and Dr. Sheridan Jones are assured of receiving only the finest quality care through the use of modern chiropractic equipment and technology. Dr. V.J. Maddio, Dr. Michael Morris, Dr. Jeffrey Fife, Dr. Sheridan Jones and the staff have a genuine concern for your well-being! 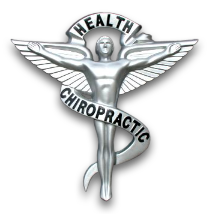 If you are new to our website, please feel free to discover and learn about chiropractic care. If you are interested in starting your journey towards wellness, please subscribe to our award winning newsletter. If you are already a newsletter subscriber, please explore the member wellness section of our website for health articles, resources, and health facts---specifically targeted by Dr. Town Center Chiropractic, Dr. V.J. Maddio, Dr. Jeffrey Fife, and Dr. Sheridan Jones to your chiropractic needs and interests. Dr. V.J. Maddio is a Helena native. He attended Montana Statev1173c.jpg University on a wrestling scholarship and studied five years of Associated Sciences with an emphasis in Exercise/Physiology and Sports Medicine. He graduated with his degree in chiropractic from Northwestern College of Health Sciences in Bloomington, MN. Dr. Maddio began his own practice in Helena, Montana in January of 1992. He and his wife, Maureen, have enjoyed raising their 3 children in the Helena community. He is involved in several community activities ranging from youth sports to service organizations. Dr. Maddio is certified in Active Release Technique (ART), is a Certified Impairment Evaluator in the State of Montana, currently serves on the the Board of Chiropractors for the State of Montana, and is past President of the Montana Chiropractic Association. Dr. Michael Morris graduated from Malta High School in 1997profess_pic.jpg, then attended Carroll College and had the honor of being part of the Saints football team. In 2002 he obtained his Bachelors of Arts Degree from Carroll and was accepted to Chiropractic College at Northwestern Health Sciences University in Bloomington, MN. In August of 2007, he graduated with his Chiropractic Degree and relocated back to Helena to work at Town Center Chiropractic. Both he and his wife are Montana natives and together they have 4 children. We look forward to helping you realize the benefits of chiropractic care. Dr. Jeffrey Fife is also a Helena native. He graduated from Montana State University in 1989 with a degree in Chemical Engineerin8912__4x_color.jpgg and practiced for 15 years. He returned to school and received his Doctor of Chiropractic degree from Logan College of Chiropractic in Saint Louis Missouri in December 2007. He practiced independently in Helena from 2008 to 2011 before joining Town Center Chiropractic. He and his wife have 2 daughters and reside in Helena. In addition to traditional chiropractic, Dr. Fife specializes in the Active Release Technique and is a certified Impairment Evaluator in Montana. Dr. Sheridan Jones is also a graduate of Northwestern Health Sciences University, finishing his Doctorate of Chiropractic degree in 2007. Before attending Northwestern, he was enrolled in Carroll College where he studied Biology and was a member of the Fighting Saints football team. He is a certified Titleist Performance Institute medical professional which focuses on the evaluation and treatment of golf related injuries and performance issues. Dr. Jones is also a certified Graston Technique provider that implements a unique, instrument assisted soft tissue therapy for muscular injuries and chronic conditions that are traditionally difficult to treat or have failed with other treatment options. He lives in Helena with his wife, Tara, and enjoys everything outdoors - especially football, golf, hunting, boating and skiing. 99.7% of patients would refer friends and family to us. As always it was great. The staff is great, always friendly,helpful & caring. They always make sure I am comfort. I have been going for routine visits monthly for over 3 years. They are great. I am very pleased. I walked in basically unable to walk for any distance and walked out almost back to normal. Very pleased indeed. Everything from scheduling the appointment to being treated right away was great. Feel much better after my visit. i am very grateful for the help Dr. Jones does for my hurting back. Thank you. Excellent service and the doctors are kind, warm and professional! I've been to numerous chiropractors over the years and Dr. Maddio is my favorite. I am greatly impressed with the attentive and thorough care provided to both adults and children. We first went in because my daughter had a massive headache that lasted a total if four days. We went in at the peak of her headache on day three. At that time she rated her pain as a 9 out of 10. When we left she was at a 3 or 4, which was around a 2 most of the next day and a 0 the following. After seeing the care she received I decided to schedule an appointment for shoulder issues I had been told I would be dealing with for the rest of my life. After one treatment I am hopeful and confident that we will get my issues in check.